These doors may be shut--but there are plenty that are wide open! Photo courtesy of 3rdward.com. 3rd Ward may have had its faults (more of them than we imagined, it seems), but there was something deeply inspiring about a huge workspace and resource center designed especially for Brooklyn's many talented creators, and we'd be lying if we told you its presence won't be missed. However, in the wake of the spot's closure, we've found ourselves reminded time and again that 3rd Ward wasn't the only game in town--so many of our friends and neighbors have other studios, class centers, coworking quarters and event spaces with their own amazing offerings. Bushwick Daily and Greenpointers reached out to some of our favorite such institutions, and it's with great pride that we present our readers with our official guide to ten of this borough's greatest places to take your creativity when making is your job. Take a look through--you can thank us when you get settled in at a place that hooks it up and makes it happen! What: BRIC offers classes from $10 in television and video production, graphic design, photography, and more. 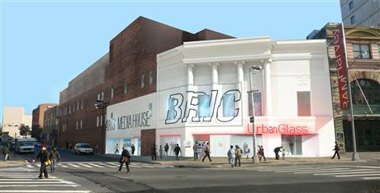 Why it's great: BRIC provides Brooklyn residents with access to a variety of low-cost, high-quality classes that enable them to produce content for television and the web as well as to learn more about the ever-changing landscape of technology today. Upon completion of BRIC's basic production classes, students become Certified Community Producers and gain full access to use their production facility and equipment free of charge to create their own Brooklyn Free Speech TV programs to be cablecast on television and online. More info at BRICartsmedia.org/bme. How much: Classes range from $10-$98. What: Brooklyn ARTery offers an eclectic mix of classes for adults and for kids: you can learn book-binding, pickle-making, malaysian cooking, jewelry design, soap-making, kimchi- and lacto-fermentaiton, toy design, paper-making and lots more! and coming soon, the ARTery will be collaborating with its neighbor Bar Chord for a drink-and-draw (with a burlesque model). Where: The ARTery is in Ditmas Park- 1021 Cortelyou Road Between Stratford and Coney Island Avenue. to contact, email brooklynarteryATgmailDOTcom, or call them at 347-425-7770. Why it's great: Brooklyn ARTery is all about getting folks back into making, doing, and buying handmade things. 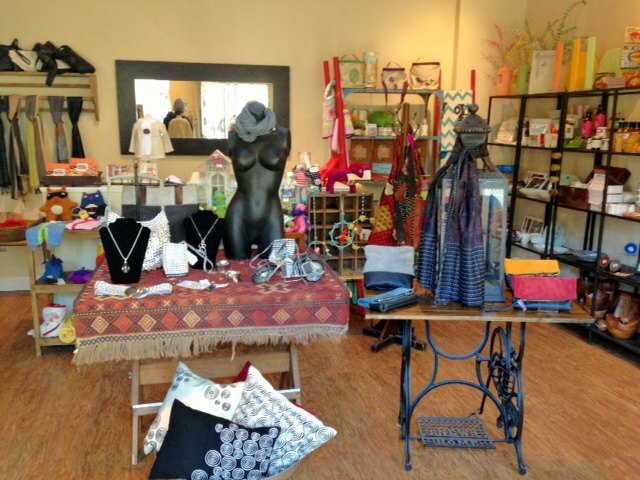 Its gift shop features handmade merchandise from Brooklyn artists as well as fair trade artisans from around the world, and its classroom is one of the few in the city that offers workshops for kids as well as adults (they even do b'day parties)! They're always looking for artisans who want to sell their work or teach what they love, and they also have a craft market attached to the Cortelyou Farmers Market each Sunday; Artists/vendors can register for a space or sign up to teach by emailing with links to their work. How much: Class prices generally range from $10-$35. What: Brooklyn Metal Works (bkmetalworks.com) is a metalsmithing and contemporary jewelry studio that offers concept and technique-based classes and workshops, benches and semi-private space rentals, exhibitions and lectures to promote artists, designers and makers. The studio offers a large inventory of tools and equipment in a safe working and learning environment. By fostering exploration, encouraging experimentation and furthering the critical dialog of making, BKMW strengthens the knowledge base of all involved. Where: Brooklyn Metal Works is located at 640 Dean St. Floor 2, Brooklyn, NY 11238, in Prospect Heights. Why it's great: Brooklyn Metal Works is an artist-run shared studio for metalsmiths and jewelers. Members can rent space to access tools and equipment for the development of their own work. Over 14 artists use the studio as their primary working space at dedicated benches and many more work in the studio throughout the week. Students have access to the extensive tools and equipment and are taught by professionals currently active in the field. 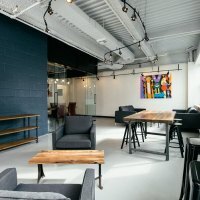 This provides unique access to a working metals studio and collaborative environment for all who participate. BMW's also runs a lecture series that brings internationally recognized visiting artists to the studio regularly, and its exhibition space hosts shows four to six times a year. How much: Welcome Classes and professional development classes (8 sessions each) are $400 for non-members and $360 for members, 1 day workshops are $200 for non-members $180 for members, and 2 day workshops are $360 for non-members $324 for members. They offer early registration discounts for classes, and students can rent bench time for 50% off regular rates. Membership $50 annually; hourly bench rental is $10 an hour, daily bench rental is $50, and Weekend Rental is $90, and Bench cards, are $100 for 12 hours. You can also get a monthly bench pass for $200, or rent a locker for $10 a month. What: BrooklynWorks at 159 is a brand new Brooklyn coworking space servicing Park Slope, Gowanus, Sunset Park, Carroll Gardens, Bay Ridge and the rest of Brooklyn. Why it's great: Brooklyn Works at 159 features designated, lockable desk space with 24/7 access, a conference room and lounge, reception, printing, scanning and copying facilities, and unlimited coffee. It also functions as a space for events and workshops. The South Slope location and its close proximity to several trains (it's just 3 blocks from the R train and 10 blocks from the F and the G) and highways offers a convenient commute from anywhere in the city. With high-speed internet and utilities covered by membership, getting started is easy: Just plug in and take off! How much: Membership starts at just $475/month for a designated lockable space. 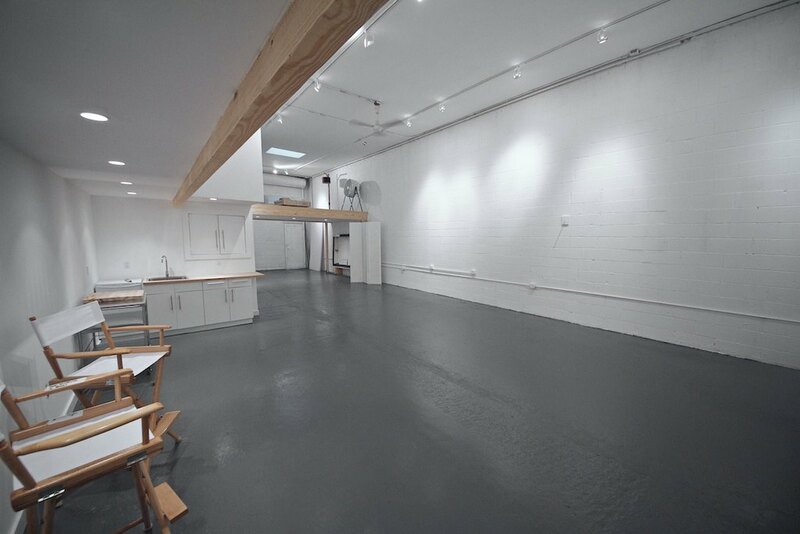 What: Double 6 is a photo studio in Greenpoint for stills, photo catalog shoots, film or video productions, art exhibits, events and more. Where: Double 6 is conveniently located at 66 Green st. next to the waterfront of West street. With the stretching Manhattan skyline as your backdrop, this is a quiet yet ideal location in Greenpoint. The area is full of artists, studios, and large production companies – it is a veritable, growing hub of the arts in New York City. Why it's great: The studio has two elegant and entirely mobile, floating multi-purpose production spaces with 16’ ceiling clearances, a 14’ high ground-level loading dock, artificial or natural lighting, cutting edge equipment, a fully shootable and camera accessible two floor apartment (equipped with two bathrooms and showers, two kitchens, private fitting rooms), two level stages/mezzanines, ceiling pipe grips, rooftop access, and make-up stations - everything to fit the needs of your work and your vision. How much: Rates according to a 10 hour block: shoots in stage one are $600, plus $60 an hour beyond the 10 hour block; for shooting video or film or for an exhibit or meeting, it's $700, plus $70 an hour beyond the 10-hour block; for events with more than 20 people, it's $850 + $85 an hour beyond the 10 hour block. For events with more than 3 people or to discuss the pricing for shoots in stage two, a price can be quoted by phone or email. 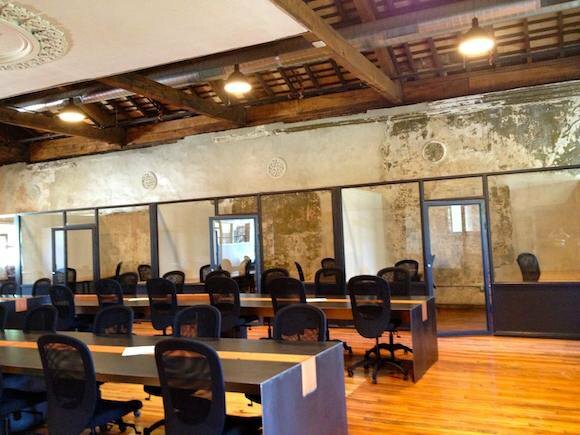 What: Green Desk offers affordable, month to month, flexible office spaces in beautiful historic buildings. Each space is fully furnished and wired with super high-speed internet access and ready for phone service. Utilities, copying, scanning, printing, faxing, daily cleaning, access to conference rooms, lounge areas, and fresh organic coffee are all included with rent. Where: Green desk is located at 240 Kent Ave, Brooklyn, NY, 11211, and at 67 West St, Brooklyn, NY, 11222. Why it's great: Green Desk's historic buildings have high ceilings and extra large windows that offer lots of natural light come together with prebundled amenities and services to make coming to work a treat. Spaces are extremely accessible to anyone with rates per desk starting at $300 per month. How much: Enquire with Green Desk for rates. What: Gowanus Print Lab is a member-based and commercial screen printing studio that also offers classes in screen printing, computer design, and professional development. Why it's great: Gowanus Print Lab is a colorful and comfortable studio space tucked in the industrial Gowanus neighborhood. 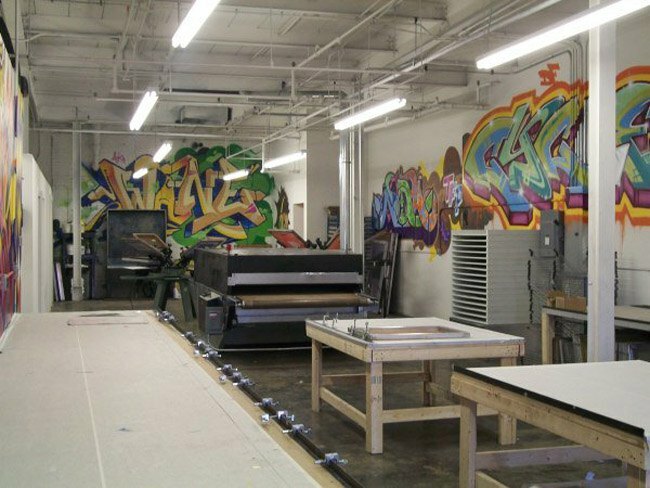 Its front gallery features current art shows, and its computer lab and screen printing studio walls are coated with murals by several street artists. The staff and instructors are a passionate, knowledgeable and friendly group of print makers, designers, and craft-nerds, and its members are artists and students from all walks of life either practicing a new skill, working on their production lines, or enjoying a hobby. This variety of great people at the studio makes up a wonderful, inspiring community. How much: Class prices fall between $55 and $375, providing an affordable option for arts and design education; There are also memberships for two days for $75, a week for $125, and a month for $225. 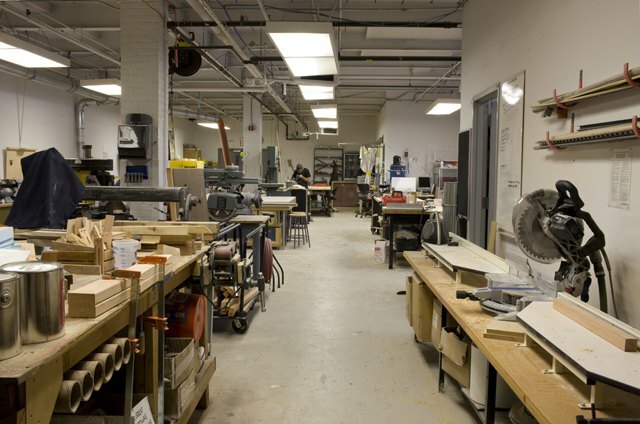 What: NYDesigns is a CUNY-run residency program for art, design and tech entrepreneurs that offers individual studios, members-only fabrication facilities, and fabrication and digital fabrication services. Visit them at either www.nydesigns.org or www.nyfabricates.com. Where: 45-50 30th Street between Thomson Ave. and 47th Ave, Long Island City (7-minute walk from the E,M,G and 7 trains at Court Square). 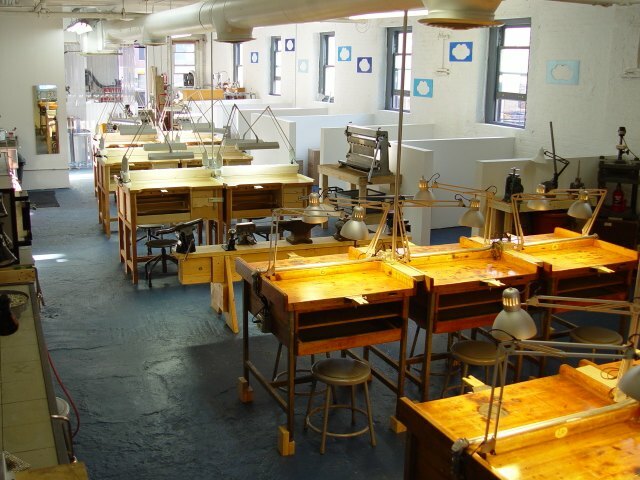 Why it's great: NYDesigns’ facilities are unique in NYC. They focus on art, design and tech entrepreneurs and businesses with significant prototyping needs. It features a 3,000 square foot onsite members-only fabrication workshop with a 4’x4’ laser cutter and 3D printers, and its 24 private studios range from 250 to 1,200 square feet, anchored in a 25,000 square foot space. How much: Studios range from $350/month to $2000/month. There is an application process which requires a draft business plan and a presentation. Memberships in the fabrication workshop start at $600/month. Laser cutting starts at $100/hour. Laser cutting only memberships are negotiable. Fabrication services are quoted on a project-by-project basis, and from now until the end of 2013 they are extending a 15% discount off of the first month of rent or membership for former 3rd Ward clients, and 20% off one laser cutting or fabrication services project. 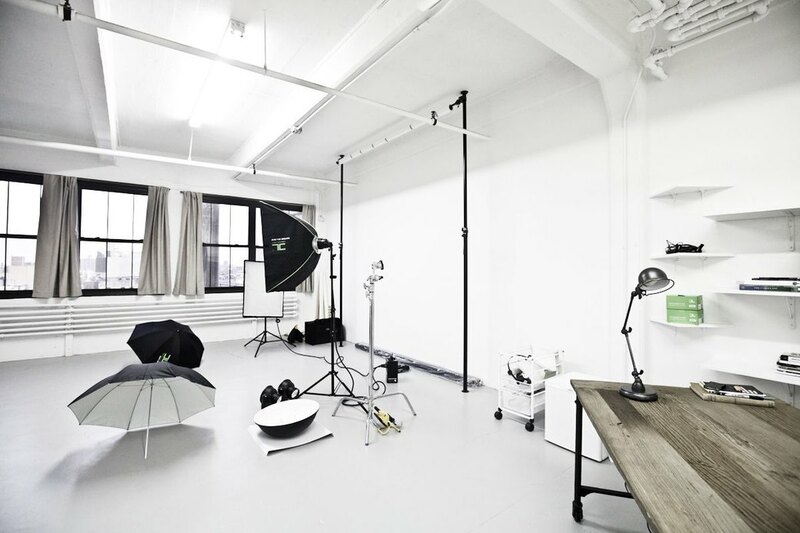 What: Mica Studios is a 1500 square foot, 10′ ceiling fully equipped photo studio for rent. The studio is equipped with Profoto strobe lights and other studio lights, as well as available daylight. Mica Studios has a digital lab that offers an Imacon Flextight x5 Scanner and a Mac tower with NEC Monitor; also available for use are a make-up station, a vintage film-viewing light table, a steamer and a clothing rack. Why it's great: Mica Studios has a great atmosphere to do your photo/video shoots. Mica is an amazing daylight studio with very cozy and homy furniture and a great library filled with magazines and photography books. All of our photo equipment is new and well functioning. You can take advantage of the equipment in the studio you rent without paying any extra fees; Mica also has curtains which can block the daylight completely if you don't want natural light! How much: A full-day studio rental for up to 8 hours is $450, and a half-day studio rental for up to 4 hours is $300. Night rentals for studio use after 7pm are the same as day rates, plus an additional $50, Imacon Flextight x5 use, including workstation time, is $40 for one hour or $70 for 2 hours, and the rate for Mac Pro Workstation usage (featuring an NEC tower; enquire about available software) is $20 an hour. 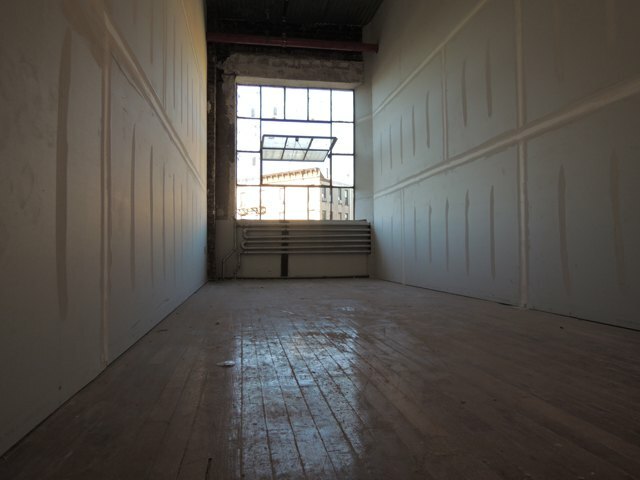 What: MYRTLE LIGHT STUDIOS is a brand-new facility of multi-use creative art studios and office spaces in Bushwick. How much: Rooms start at $650/month. Okay, artists. You no longer have any reason to be spaceless. Go make some phone calls--and happy creating! !